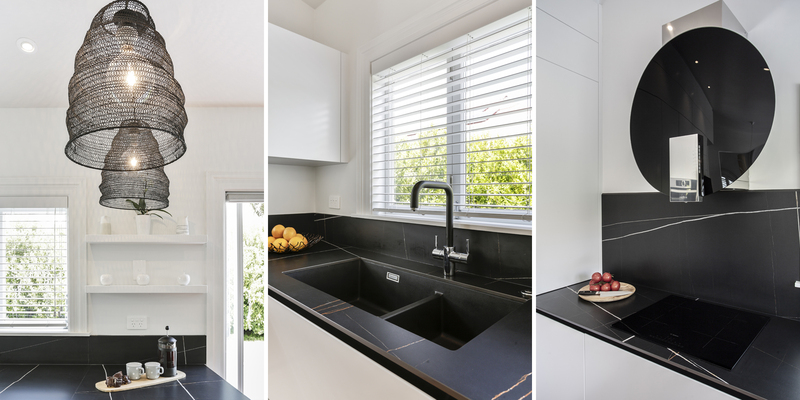 Kitchens By Design | Kitchen Design for Discerning Clients : Devonport. A passionate baker and someone who loves to entertain, our client told us that her new kitchen needed to be both practical and have a wow factor. We came up with a design that delivered both. 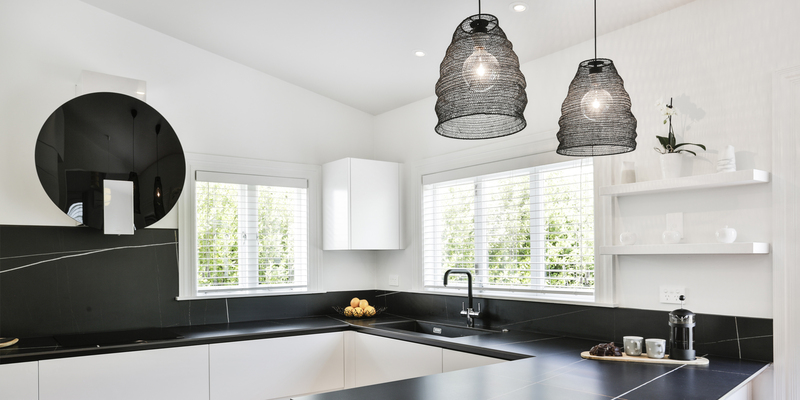 The striking black-and-white colour scheme was created to give the kitchen the desired drama. 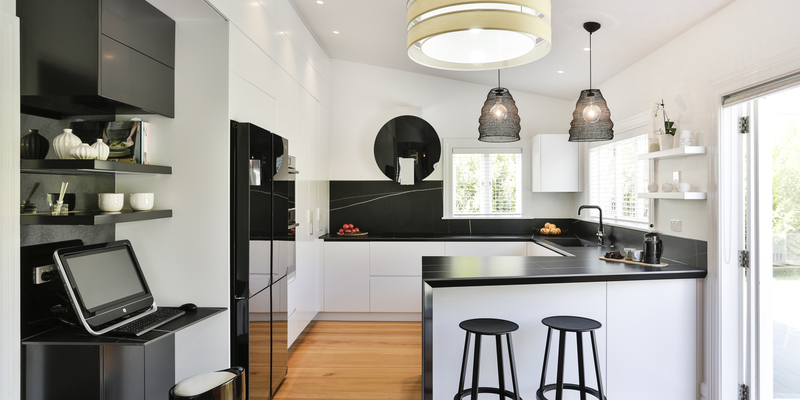 The black-glass finish on the fridge and extractor above the cooktop enhances the look, as does the choice of black accessories, such as sink and tap, the distinctive pendant lighting, and the black bar stools. To address the client’s baking needs, a discrete on-bench appliance garage, with shelving above, was created to store bulky appliances and ingredients, and to give easy access when needed. The breakfast bar extends out at an angle from the French doors, widening the benchtop at the far end to create seating for two. The designer played on this angular design by creating a deep mitre in the edge detail of the benchtop. Another request was for a small study nook adjacent to the kitchen. 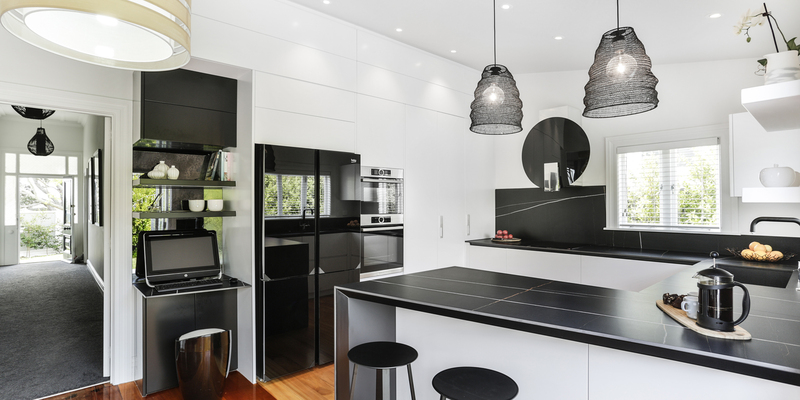 The designer linked these two areas by using black shelving backed by black-antiqued glass. 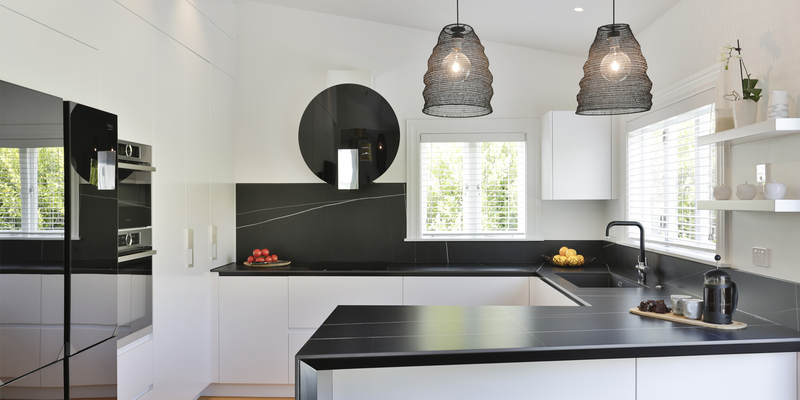 The striking black-and-white colour scheme was created to give the kitchen the desired drama.